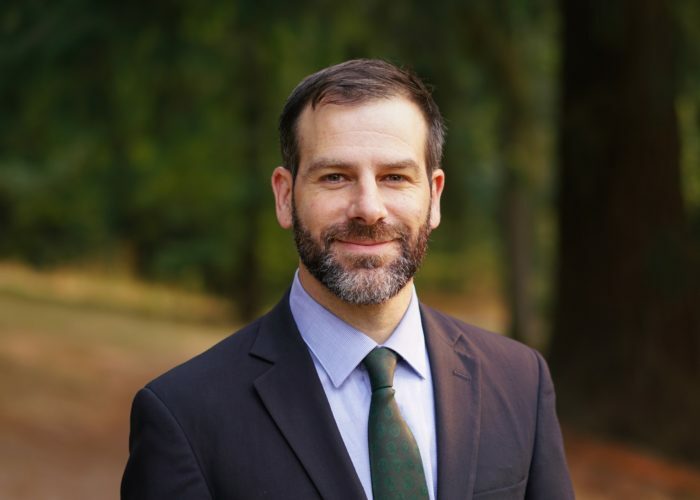 PORTLAND, OR, September 25, 2018 — Joseph Furia has taken over as executive director of the World Forestry Center (WFC), a 52-year-old nonprofit champion of sustainable forest management. The announcement comes as the WFC launches its 14th annual Who Will Own the Forest? conference, which gathers forest industry leaders from across the world to discuss the future of the complex business of owning and managing forestlands for investment in conservation and timber products. A lawyer by training, Furia also brings expertise in business, public policy, and nonprofit management to his new role at the World Forestry Center. He has worked on solving a broad range of natural resources issues as well as conducting marketing and business development for technology and hybrid-electric vehicle companies. Sustainable forestry, central to the World Forestry Center’s mission, has long been a part of the forest product industry, but more recently has added new ecological services products, such as water quality management and carbon sequestration, to the portfolio of products offered by forests alongside timber. The WFC’s museum and event space provides a natural place to educate the public on these and other innovations in the industry, and the organization also sits at the intersection of the past and future of forestry technology. Recognizing that forest issues aren’t regionally specific, the WFC also runs the World Forest Institute, which brings forestry professionals from around the world together to learn and share best practices. “Oregon is at the center of western forestry and with its 50-year history, the World Forestry Center is uniquely positioned as a place for education and for global thinking on what the next 50 years of this industry will bring,” said Jeff Nuss, president and CEO of Portland-based GreenWood Resources. WFC’s Who Will Own the Forest? conference runs Sept. 25-27 in Portland. Visit www.wwotf.org for more information. Founded in 1966, the World Forestry Center (WFC) is a nonprofit organization dedicated to creating and inspiring champions of sustainable forestry. Based in Portland, Oregon, the WFC provides critical programs in convening and professional development of global leaders and practitioners in forestry and related fields. Through its World Forest Institute Program, the WFC has hosted public and private forest professionals from over 40 countries to advance research, networking, and knowledge exchange. For more information visit www.worldforestry.org.